Trimming service is vital in maintaining a good appearance of your landscape. The cutting of unwanted parts of trees and hedges ensures that there is a good looking landscape for the client. Commercial trimming services are performed to business with the aim of increasing their appearance to the consumers. It is crucial for a business to have a good first impression to the consumers to enhance perception in the targeted market. Michiana Commercial Landscaping offers trimming services to business owners to make their premises appealing to potential and existing consumers. The maintenance of the landscape is necessary for a business to acquire an increased market share. A unique landscape is an indication that the company is organized and offers quality services to the consumers. Therefore, it is important to use professional trimming services for your business premises to accomplish set goals. Michiana Commercial Landscaping offers tree trimming services to business clients in South Bend, Indiana. The services are meant to provide increased performance to the business by caring for the landscape. It is motivating for staffs to work in an environment that has a fresh and unique landscape. The trimming of trees is necessary to make them have an attractive shape and size. Trimming is done by professionals to consider the different types of trees used in the landscape. Michiana Commercial Landscaping trimming is done to improve the look of the trees in the commercial landscape. The company is focused on offering the best tree trimming services to the clients. Trimming is done to the overgrown tree branches in the landscape. It is crucial for an individual to maintain the landscape to make it appear good. The trees in the landscape should not look the same to those in the wild. Professional trimming is done to the trees in removing the overgrown parts of the trees and designing them to fit the needs of the client. Additionally, trimming is used to make the landscape clean by clearing the overgrown and dead parts of the tree. The irregular tree branches are trimmed to make the landscape to be good looking to the owner and visitors. The tree trimming cost in South Bend Indiana is based on the level of overgrown trees in the landscape. Hedge trimming is done to make it remain in the desired and perfect shape. It is crucial to consider the hedge trimming services from professionals to ensure that there is an appealing appearance of your landscape. The trimming is done to care for the landscape by dealing with the bushes in the property. 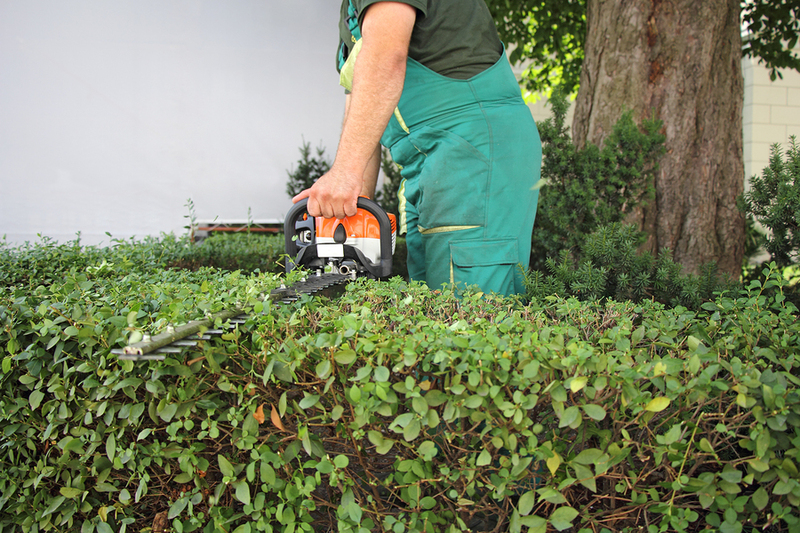 It is crucial for a business owner to provide details of hedge trimming that one needs to get an estimate from Michiana Commercial Landscaping. The company can deal with different types of hedges and design them to look good to the owner. The trimming tools used by professionals are meant to come up with a good looking landscape to the owner. Michiana Commercial Landscaping trims as per clients’ instruction for consumer satisfaction beyond expectations in the landscape trimming industry.